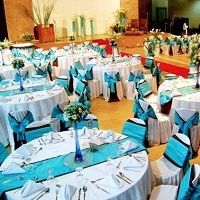 Amen Tours and Travels is a credible name in the service industry and we can be trusted for handling event planning and management requirements. Our company base is located in Siliguri (West Bengal, India) and we can be contacted for carrying out your event organizing needs right from conception to final clean up. Associated with a team of qualified planners and coordinators, we provide solutions for a variety of corporate and private events. Our focus on details, schedule and budget makes us a preferred choice of many. So, whenever you plan to host event(s) around Sikkim, Siliguri, Darjeeling, Kurseong, Kalimpong and entire Dooars, feel free to contact us.